This step by step guide will show you how to install an SSL Certificate on Remote Desktop Services (RDS). 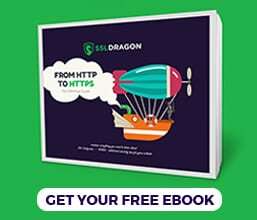 You will also learn a few interesting facts about RDS, and discover the best place to shop for any type of SSL Certificates. If you still haven’t generated your CSR (Certificate Signing Request) and passed the SSL authentication, refer to the CSR Generation tutorials in the first part of this guide. Where to buy an SSL Certificate for Remote Desktop Services? When applying for an SSL Certificate, you must generate a CSR code and submit it to the CA. The CSR includes contact details about your website or company. Depending on the version of your Remote Desktop Gateway Server, you can create the CSR in the same release of IIS. Microsoft IIS server comes pre-installed with every version of Windows. For instance, if you use RDS 2016, you will generate your CSR in IIS 10 which is included in Windows Server 2016. After you create your CSR and complete the SSL validation, the CA will send all the necessary certificate files to your inbox. You can now proceed to SSL installation. Before beginning the installation, make sure you have all the required SSL files. Your server certificate: this is your SSL certificate with .cer or .crt You need to extract it from the ZIP archive that you’ve received from your CA and save it on your device. Your private key: this is the .key You’ve generated it along with your CSR code. Restart your server for changes to take effect. Congratulations, now you know how to install an SSL Certificate on Remote Desktop Services. After you install the SSL Certificate on RDS, type your URL in your browser’s address bar to check the SSL padlock and certificate information. Even if everything displays correctly, we recommend doing a thorough test of your SSL configuration that’ll pinpoint potential hidden errors and vulnerabilities. 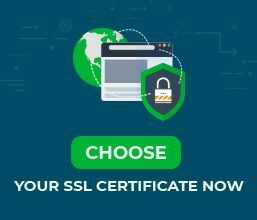 These powerful SSL tools deliver instant scans and reports on the state of your SSL Certificate. Remote Desktop Services (RDS) is one of the components of Microsoft Windows that allow users to access a remote computer or virtual machine over a network connection. RDS was known as Terminal Server, until Microsoft renamed it 2009, and introduced the first RDS version in Windows Server 2008 R2.